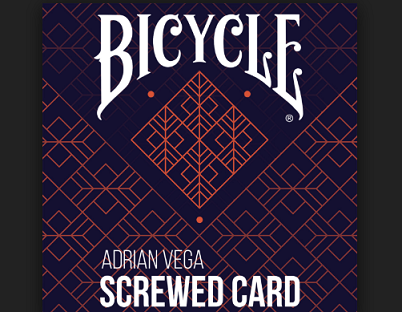 Screwed Card by Adrian Vega takes the torn and restored plot to the next level. Two cards are chosen and shown on both sides. You have the cards signed, and then completely rip them in half. Then, impossibly, you take the two signed halves and visually fuse them together... BACKWARDS. Adrian Vega has created a close up effect that is practical for walk around but powerful enough to be used in a competition or even on TV. It really is that strong.